Weather he’s riding a bicycle across the stage at the Alliance Theatre or being dragged, hands bound, behind a shrimp trawler off Alabama’s Gulf Coast, it’s all good! And Joe loves to talk about it. What he does… how he does it… few actors are as candid. Scroll down to discover recent interviews with Joe Sykes about his work on stage and in film. The award-winning cast: Robert Bryan Davis (left), Carolyn Cook, Grant Chapman, Parris Sarter, Louis Greggory, Cara Mantella, Joe Sykes and Thandiwe Deshazor. Photo by Ashley Earles-Bennett. The 2018 Actor’s Express production of Angels in America by Tony Kushner, co directed by Freddie Ashley and Martin Damien Wilkins, took home Suzi Bass Awards for Outstanding Production, Outstanding Ensemble Cast, and Outstanding Director! (Oh, yeah!) Joe played Joe Pitt, a confused, ethical nightmare of a man. While the eight-hour, two-part production was still in rehearsals, Joe talked about the play, it’s significance to contemporary America and the job of preparing an epic for the stage in just six weeks. The Theater Emory production of Ravished, an aggressive reworking of Shakespeare’s A Midsummer Night’s Dream, crossed boundaries. Definitely not a fun take on the bard’s beloved romp. And there was nothing traditional about the production either. Remote beaches of the Alabama Gulf Coast may be stunning but they hid tortures for the cast and crew of Those Who Deserve To Die, including swarming insects and jellyfish. Joe endured his share of cuts and scrapes during filming, and survived a harrowing drag behind a shrimp trawler. 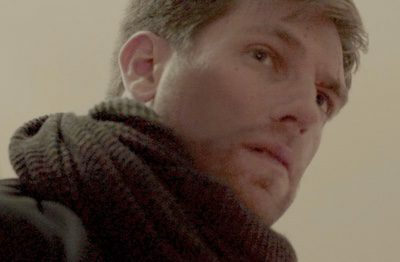 In this film, his second with director Bret Wood, Joe plays Jonathan, a troubled loner caught in a spiral of violence.